In this study eco-friendly synthesis and characterization of silver nanoparticle using aqueous extract of whole plant Allium fistulosum Linn and its antibacterial efficiency in waste water and photocatalytic potential were studied. Green synthesis of silver nanoparticle (AgNP) was performed by treating the 5% aqueous plant extract with 1 mM concentration of silver nitrate at 60 °C. AgNPs were characterized by using UV-visible spectroscopy, scanning electron microscopy and Fourier transform infrared spectroscopy. Silver surface plasmon resonance (SPR) occurred at 432 nm for 1 mM AgNP. The silver nanoparticle size ranges from 66 to 86 nm. Silver nanoparticle of Allium fistulosum treated with industrial waste water with different time durations (12, 24 and 72 h). 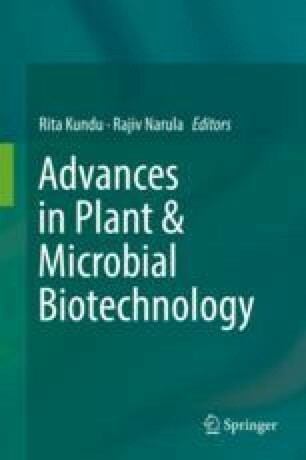 In 72 h AgNP exhibited antibacterial efficiency against pathogenic bacteria Proteus vulgaris, Shigella dysenteriae and Escherichia coli isolated from industrial waste water. Synthesized silver nanoparticle has potent photocatalytic dye degradation for safranin and methyl orange at 43.1% and 34.6%, respectively.